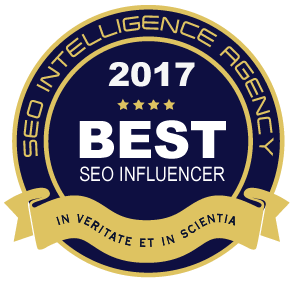 Every week, I perform a free Adwords audit to help a small business in Perth. Today I’m helping a pest control company called Rapid Hygiene. This review is based on the keyword “pest control perth”, performed on 25/09/17. So what can Rapid Hygiene do to improve their Adwords campaigns? The Ad’s Objective is to…. The first thing to review is whether the objective of Rapid Hygiene’s ad is clear. In the case of a pest control company, I would say their main objective would be to get visitor to request a quote, either online or by calling them. In the case of Rapid Hygiene’s ad, they are showing an 1 800 number within the Ad but there is no mention of receiving a quote. The landing page has their 1 800 number above the fold and it is clickable, which is good, however the landing page also has no mention of receiving a quote or a call to action telling the visitor what to do next. I think there is a bit Rapid Hygiene can do to improve. 1) Include a call to action in their Ad that asks the visitor to click through and request a free quote. 3) Include a call to action and button on the landing page that the user can click to request a free quote. Can The Ads CTR Be Improved? The next thing to review is whether Rapid Hygiene’s ads have been written effictively. Based on the above I believe Rapid Hygiene can make their ads more relevant and include more benefits in their copy. Headline: Pest Control Perth – Rapid Hygiene! How About The Landing Page? 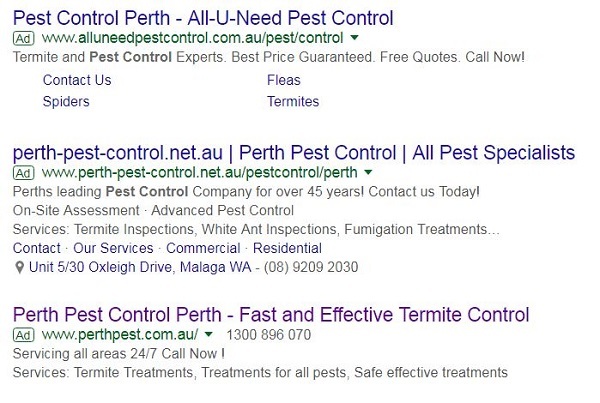 5) Based on the above Rapid Hygiene should update their landing page to include the keyword pest control Perth in the meta description, H1 and body copy.